Pokémon Insurgence might not be an official Pokémon game, but that doesn't make Insurgence any less exciting. The reason? Features. Glorious, glorious features. Actual Pokémon games certainly have their share of exciting features—the problem is that some features will only appear in a certain generation, only to then disappear in subsequent games. The upcoming Pokémon games, for example, won't have customization despite the fact that X & Y did. Game Freak justifies this by saying that they do this to "give unique traits of personalities to the different regions," but it's hard not to feel cynical about it, too—like they're not interested in making the best possible Pokémon game, but rather sell you a whole bunch of different versions just so you can experience that one cool thing. It's smart from a business perspective, but it's kind of annoying for players to have to deal with, too. 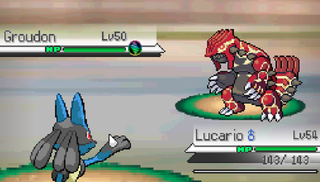 All of that goes out the window in Pokémon Insurgence. Insurgence mashes together many of the cool features we've come to love over the years, like customization, mega evolutions, Pokémon following you in the overworld map, and secret bases—things you'd need to buy three seperate Pokemon games to experience under normal circumstances. Insurgence also adds a few quirks of its own. Neat, right? Plus, all of these neat additions to the classic formula come in the form of sprites...as nice as it is to see Pokémon in their full 3D glory, I kind of miss sprites. Maybe that's just me. And you can check out Insurgence's Wiki here. We'll keep you updated on the game, too. If you liked this story, you might consider reading Pokémon's Creepy Lavender Town Myth, Explained, as well as Pokémon's Famous Missingno Glitch, Explained.